Portuguese Easy Lessons: The Fastest Way to Learn Portuguese. Want to learn Portuguese fast? Download Portuguese Easy Lessons, print your copy and have fun! 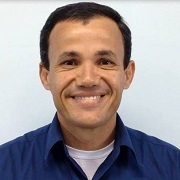 Hi, I’m Charlles Nunes – a Brazilian language teacher and founder of Learn Portuguese Now. There are many ways to start learning a language. 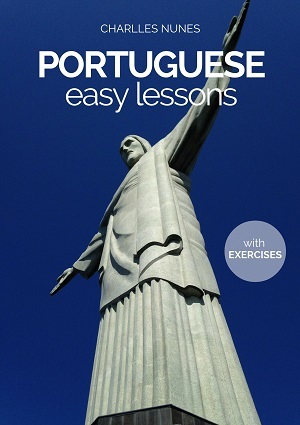 The fastest way is usually the easiest one..
'Portuguese Easy Lessons" will help you learn the basics of the Brazilian language in a matter of days. Excellent organization in the ebook. I look forward to learning from the ebook sample. WELL DONE! I'm a teacher of English as a second language and I am sure my methods could improve by modeling your organized approach. How did I discover these strategies to help you learn faster? When you start learning a language, the most useful sentences to learn are those directed related to your own needs. Since I started working as a teacher - in 1993 - I have been trying to understand the needs of EACH student I work with. Believe me, there are many different reasons to learn a language. After working in different language institutions, I created Learn Portuguese Now to help a specific kind of language learners: those in a hurry to communicate in real contexts. That's why I created Portuguese Easy Lessons. To help you take your first steps in a practical way. Now you can increase your learning curve and start speaking right now. Especially by using the flashcards with audio and playing games related to each page! Portuguese in 7 Weeks focuses on reading but if you get hold of the audio version as well, or if you already master the basics of Portuguese/Brazilian pronunciation, you have here at your disposal the perfect tool for acquiring or revising basic Portuguese. Whichever way you choose, you will get a tremendous lot of 'Portuguese in 7 Weeks'. I’ve tested and refined these language learning strategies so that they really work. Portuguese Easy Lessons is your complete, 62-page, step-by-step success guide to learning a language ASAP. You can print the e-book and carry a copy wherever you go. Or you can read it on your cell phone. This is a PDF ebook that you can read on your Computer, Kindle, iPad, Nook, Tablet, Smartphone, and most other devices. Immediately after your purchase, you can download your ebook and start learning new phrases right away. Learn Portuguese Now has been online since 2006. Our refund happened when a client bought a course that we were not delivering at the time of purchase. If you're not satisfied with this ebook, just contact me within 10 years of purchase – and I’ll issue your 100% refund immediately. 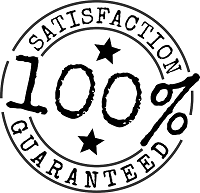 Your ebook purchase is safe, secure and 100% risk-free.